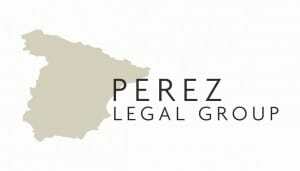 How can PEREZ LEGAL GROUP help you? Perez Legal Group in Marbella provide a complete personalised legal, tax and management service to both foreign citizens and companies in Spain. We guide our Clients through the complexities of understanding and complying with the Spanish legal system. Due to a recent collaboration with UK law firm Wykeham-Hurford Sheppard & Son, we are now able to provide expertise and experience in the legal systems in both Spain and the UK. Nobody likes to think about death, however a little forward planning can ensure your affairs are in order. A relatively small amount of preparation can significantly reduce the time your assets will be frozen and protect your family from a potential bureaucratic nightmare. Download a free copy here. Over 50 pages packed with useful information on Spanish Taxes, Property, Living and Retiring in Spain. Download a free copy.